As of May 9th we will be starting a session of guitar classes available to students during lunch period. Marc Fleury, experienced guitar teacher/ player, will be offering group guitar lessons to interested students. The last day of school before the summer break is Thursday, June 23rd. Our year end awards ceremony and Grade 6 graduation both take place on June 21st. The awards presentation begins at 1pm followed by Graduation at 1:45. More details will follow. There will be a K4 parent information meeting for the 2016-2017 school year on Tuesday, June 7th at 7pm. More info to follow. There will be a “Buy One Get One Free” scholastic book fair on Wednesday, June 1st. We are in need of volunteers to help out during the day, as well as after school. If you can lend a hand please contact Brenda at bcarruthers@wqsb.qc.ca. MusicMakers 2016 took place on Friday, April 15th, at D’Arcy McGee High School. 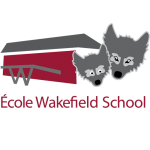 MusicMakers is a concert produced by the Western Québec School Board. It features schools from across the Board. Each school performs its own songs during the show. To close the show, the schools join forces and sing two massed choir pieces. Cycle 1.1 will be visiting the National Art Gallery.